BJ Nilsen is quite possibly the ultimate Touch artist: he mixes the exquisite field recordings of Chris Watson with the kind of melancholy ambience Fennesz has been producing recently, not to mention the icy Nordic atmospheres often associated with Biosphere. 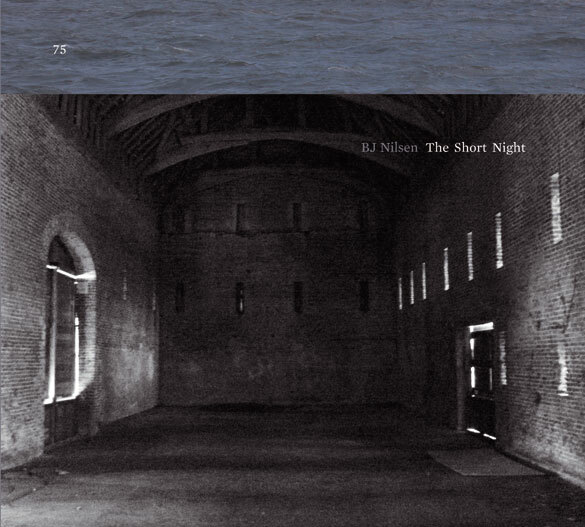 The Touch label is to be commended for issuing Nilsen’s most recent album, The Short Night, on vinyl – albeit some time after the initial CD release. Touch is certainly showing a strong commitment to the greatest of all formats but you do have wonder what the label’s priorities are. For example, why did Touch edit a couple of tracks out of Fennesz’s Black Sea, allowing it to fit on a single LP? The epic Black Sea is a double album in spirit, if ever there was one. Was Touch trying to save money on pressing and – if so – how come the album was packaged in an expensive-looking, full-colour matte sleeve? Seems like a slight case of style over substance or – dare one suggest? – a little vanity on the part of label founder and graphic designer Jon Wozencroft. The Short Night, meanwhile, is pressed on extremely flimsy, far-from-180g vinyl, which makes the disc itself look rather like a 12″ single from the mid ’80s. But it seems a bit mean-spirited to do all this complaining when the pressing sounds absolutely fine and the music is utterly fantastic. It’s hard to describe Nielsen’s sound without falling back on Scandinavian stereotypes and Nordic cliches – he’s Swedish, after all. Nielsen isn’t helping matters by giving the album a title that immediately evokes the midnight sun. Let’s just say he’s an absolute master of counterpointing huge, monolithic slabs of sound with brief, delicate moments of near silence. The results are extremely dramatic and moving, throughout the course of the album but nowhere better than on “Black Light”. If you’re a Touch fan, you really need the new record by the ultimate Touch artist, don’t you? Yeah, you’d better buy The Short Night at the TouchShop. Entry filed under: electronica, MP3s, reviews. Tags: electronica, MP3s, reviews.